I'm just taking the opportunity to post these pics of work in progress while Brid and Brenda are having a break for lunch and a walk outside. We're here in Duckett's Grove working on flat felt pieces, thank goodness it's a bit warmer in the studio today, not much, but a bit! 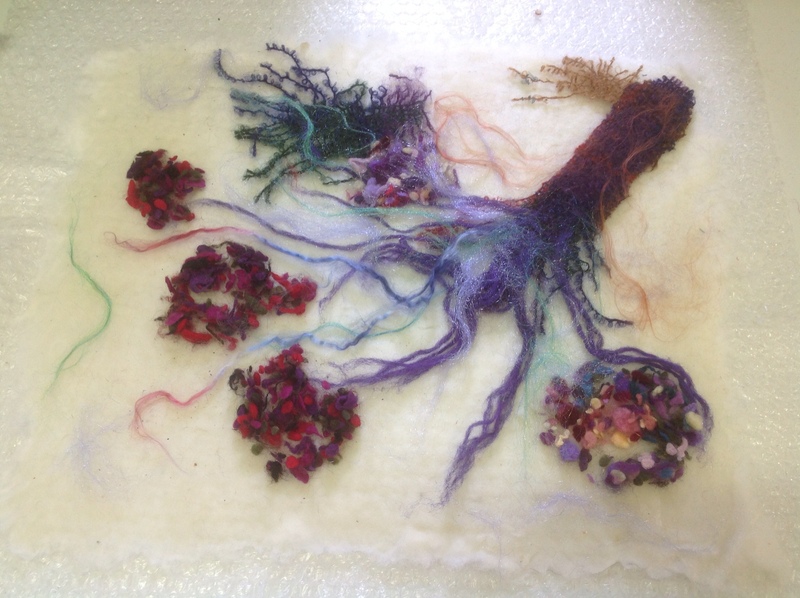 Brid chose to 'draw' her design on a background of natural brown French roving and Brenda selected soft white short fibre merino for her base. Both have used a selection of mohair, silk and shimmery Firestar to lay out the surface detail, I think they're going to be wonderful when they're felted! 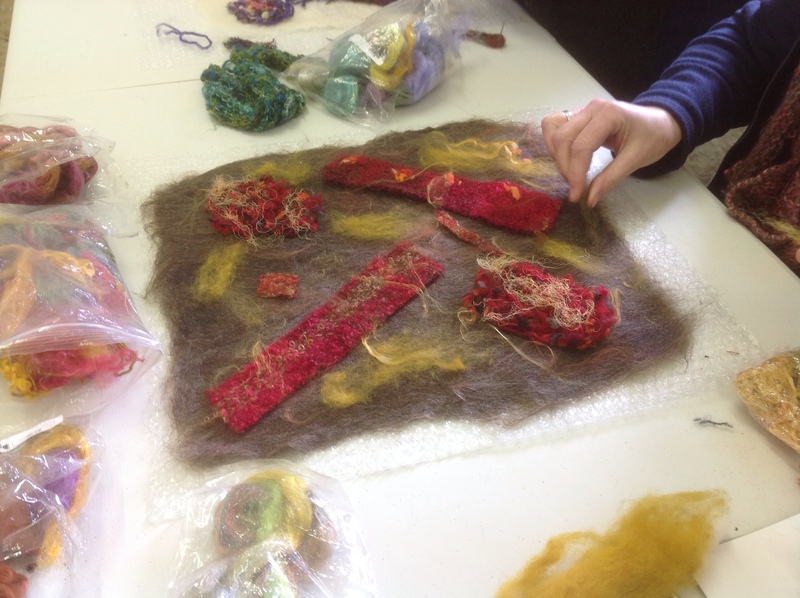 This entry was posted in duc, Duckett's Grove, Felt, felt picture, workshops by Nicola. Bookmark the permalink.